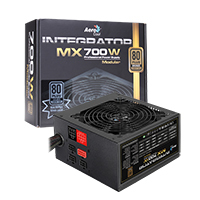 Aerocool�s Integrator MX series is the latest high-efficient Semi-Modular power supply. 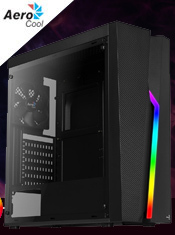 The most valuable and suitable PC energy component for gamers and system integrators and it features a 12cm thermal control silent fan which gives the user clean DC quality with low ripple noise and a number of connectors with cable mesh. Four PCIe 6 + 2 Pin connectors for mid-range graphic cards. 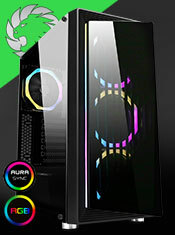 Warranty - Two years warranty.